Small Talk: By the way, the photos were taken by my new Nokia N73, *grin*! A planned brunch on a lazy Tuesday morning at Holland Village was cancelled and a late lunch at Plaza Singapura with another friend was arranged last minute instead. 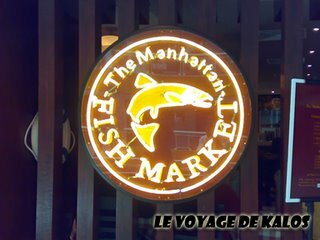 Situated at the 6th floor in the shopping centre, you will find The Manhattan Fish Market, a Franchise - American Style Seafood Restaurant, from the neighbours of the north. The concept is similar to that of Fish & Co., which surprisingly, also opens their first outlet in Plaza Singapura. 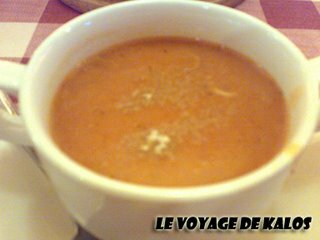 Both of us decided to top up an additional dollar on the set menu for the Seafood Chowder, as the soup of the day was Cream of Mushroom, which soup of the day isn’t mushroom nowadays anyway but was sorely disappointed by it. The soup was blend and lacked punch, and the squid was pathetic in serving and tasted rubbery. Thankfully the bad start was redeemed by the starters that we shared – the Garlic Butter Mussels. 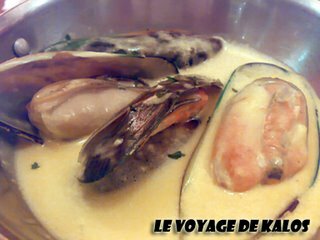 The poached mussels were juicy and the garlic butter sauce was simply delightful, especially when dipped with the slices of baguette that comes with this appetiser. 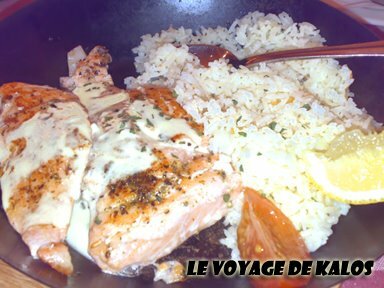 Our main for the day was the Grilled Norwegian King Salmon Fillet with Garlic Butter Rice and once again, it did not disappoint us. The fish was not too dry and it goes well with the rice. Also the salmon skin was grilled to crispy perfection, which I truly it. Overall, the garlic butter combination was the winner for the day and the total dent for the lunch was a cool 60 bucks for two.